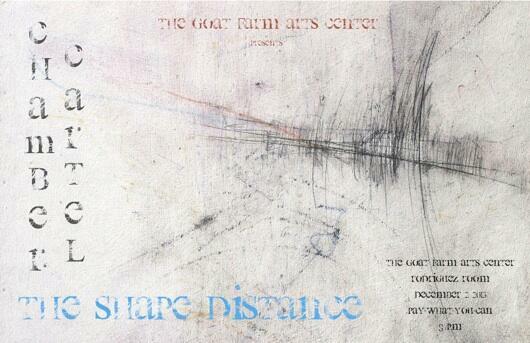 On the 2nd December, DIVAcontemporary associate artist and Scottish Music Centre composer member Marc Yeats will have his the shape distance [1-7], 7 pieces for ensemble, premiered at The Goat Farm in Atlanta, US, by the exciting and experimental Chamber Cartel with whom Marc is composer-in-association. Marc is able to attend the premiere in person through the support of Arts Council England’s Grants for the Arts scheme. The Cartel say: Our final concert of our second season – Where are we going? What are we doing? – focuses the former of those two questions. Written for and dedicated to Chamber Cartel by British composer Marc Yeats, the piece is an exploration into “unsynchronised complexity.” This is the world premiere of all seven pieces that comprise The Shape Distance and will be the focus of our first CD!